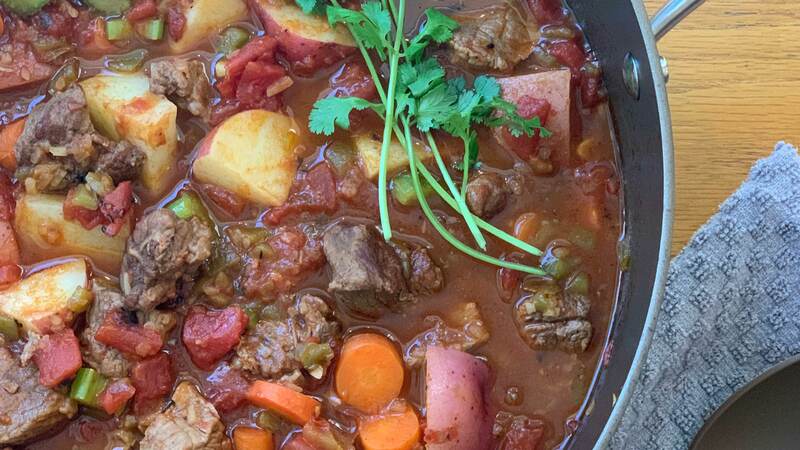 With just a touch of spiciness, this stew satisfies any hungry appetite! In a large Dutch oven, heat oil. Brown beef for 5 minutes then add garlic, carrots, celery, tomatoes, green chiles, onion flakes, beef bouillon granules, chili powder, onion powder, parsley flakes, celery seed, paprika, pepper and broth. Bring to a slight boil, reduce heat to low,cover and simmer for 1 hour. Add potatoes, stir, cover and simmer for 45 minutes longer or until potatoes are tender.